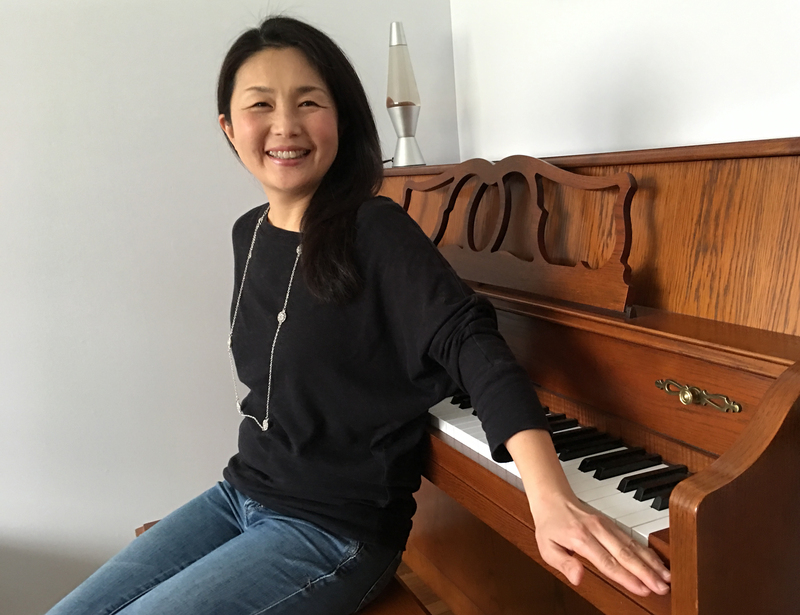 A successful native Japanese jazz singer, Sami Kaneda is also a mother of two and an experienced and very popular Music Together® teacher who returns to MTSF after some time raising her twins! Sami was "discovered" singing stirring renditions of classic jazz standards in a local jazz club by an American record producer. Her live performances and demo tape then brought her to the attention of Stix Hooper, drummer for the legendary band The Crusaders, one of the most popular jazz groups of all time. Impressed by Sami's unique vocal talents, Hooper offered to serve as producer for her debut album. Later in her career she discovered Music Together as well as her love of teaching children. She had a wonderful 6 years of teaching at Music Together before the arrival of her twins. She is so excited to come back to Music Together and continue her musical journey with children and their families. "As a mother of twins, I know firsthand that parents always want the best for their children, and how you choose your child(ren)’s teacher is not always an easy task. So let me tell you more about my class: my class will be similar to a spa salon. How so? Well, a good massage session relaxes and stretches your muscles, and that’s exactly the experience I work toward. You will be in a relaxed musical environment while you are stretching the muscles that support your vocal cords, along with moving, dancing, and playing instruments. And by the end of the class? You will go home with an invisible souvenir box. Each week you will accumulate these small boxes of musical tools. Open it at home and enjoy what’s in it until I see you at our next class. You will be guiding your child(ren) musically while having so much fun at home, in the car, at the playground, and anywhere else you can put these tools to use. I am your musical guide; you will become your child(ren)’s musical guide. Music is fun. Music is energy. And music is a part of yourself. My class will help you re-discover yourself and help your little ones discover their own voices. Birds do it. Bees do it. Even educated fleas do it. Let’s do it. Let’s make music together!" Choose Day & Time below to register for Teacher Sami's classes.